Written on September 6, 2016 . Posted in Announcements + Updates, Writing Center. 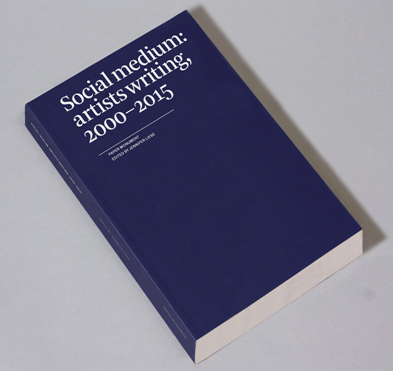 Social Medium: Artists Writing, 2000–2015, the first major anthology of 21st-century artists’ writings, will debut at the New York Art Book Fair, with preview copies and a panel discussion on 18th September at 3:00 PM. See papermonument.com for details on the book and other forthcoming events, including the official launch: an evening of readings and performance at The Kitchen in New York on 20th October 2016.